Whether you’re a psychotherapist, physician, attorney, or social worker, you most likely encounter clients with substance abuse issues on a regular basis. 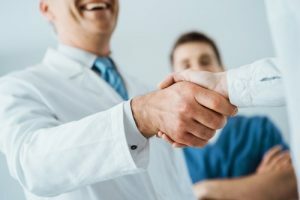 Helping your clients find the best addiction treatment can be a daunting task when there are so many factors involved in determining fit of service. How can referring professionals ensure that they make the best recommendation? We’re here to help. Whether our program is the perfect fit for your client or not, our Admissions Professionals will work with you so that they may understand your client’s needs and ultimately recommend a program that is a perfect fit. Our team is dedicated to working collaboratively with you in order to create the most effective treatment plan for your client. We will actively communicate with you throughout your client’s treatment stay and you’ll have an active role in the after-care planning process. Your involvement in your client’s treatment at Wellness Retreat Recovery Center will ensure your client’s seamless transition from treatment back into your professional care. Here at Wellness Retreat Recovery Center we ensure the best outcomes for your client by providing progressive and multi-faceted services. With only 6 clients in treatment at a time, we are able to address each client’s complex needs, ultimately ensuring their successful transition into a life of sobriety. Our groundbreaking staff-to-client ratio and boutique size enables us to dedicate ourselves to providing evidence-based treatment services truly tailored to your client. Our mixture of intensive psychotherapy, holistic treatments, multi-disciplinary medical partners, and luxury amenities, backed by our dedication to providing ethically sound services, ensures Wellness Retreat Recovery Center remains unparalleled in the treatment industry. Many of the questions we get from concerned clients, family, and friends relate to treatment costs. In the current economic climate, we are very aware of the fact that times are tough for a lot of families. Accordingly, we accept most PPO insurance policies, and chances are, your client may have no financial obligation for treatment at Wellness Retreat Recovery Center. Either you, your client, or a family member can fill provide your client’s insurance information. Typically, it will take us less than an hour to verify insurance benefits and call back to discuss coverage. However, we understand that many of our clients do not have the financial benefit of a PPO insurance policy. With this in mind, we have minimized our program costs so that we fall below other programs at our “luxury” level of service. Additionally, we work with companies that can help your client finance some or all of his/her treatment costs. Check out our Financing Options page for more details! Whether your client has a PPO insurance policy or not, all program attendance costs are revealed up-front. We will never send your client a bill for services. **We ask that intervening referring professionals fill this out as completely as possible to help us prepare for your client’s arrival. Note: This form submission is confidential and will be submitted to a secure mailbox. The submission is intended for the sole use of Wellness Retreat Recovery Center’s staff in accordance with HIPAA legislation (45 CFR, Parts 160 & 164) and by federal privacy laws (42 CFR Part 2). Thank you. If client has a physical disability, is client able to perform ADL's? *Any suicide attempts? If so, how many and date of last attempt? *Past substance abuse treatment? If so, please list what type of treatment (detox only, residential, PHP, IOP, OP), the duration of each treatment episode, and the year attended (if known). *Additional details we should know?